Jasmine Allard grew up in a French-Canadian family surrounded by a vibrant folk culture. From a young age, she was inspired and influenced by these experiences to continue her artistic practice in dance. 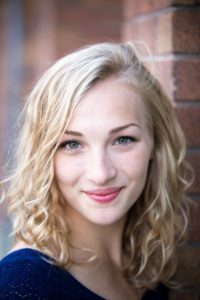 In 2014, Jasmine graduated from the School of Contemporary Dancers and in 2015, she received her BHA in dance at the University of Winnipeg. Since graduating, Jasmine has had the opportunity to work as a company member for WCD under the direction of Brent Lott for 3 years. She has also worked on professional projects with Constance Cooke, Lise McMillan and Johanna Riley. Jasmine is currently studying at Université de Saint-Boniface in the Faculty of Education while also continuing her artistic explorations. She is excited to share her passion for dance as a performer and educator in this show! A 2017 graduate of The School of Contemporary Dancers Professional Program, Allison Brooks is excited to be a part of this year’s VERGE. In July, she danced with GPS Collective on a tour to Leon, Mexico, and worked with choreographer Meagan O’Shea in Newfoundland as part of Stand Up Dance: Pop up Dances for the World Dance Alliance Global Summit. She has also worked with Roger Sinha for NAfro’s Moving Inspirations Dance Festival. She will be working with Montreal choreographer Jason Martin as part of WCD’s spring show, and looks forward to working with Company Constance Cooke in 2018. 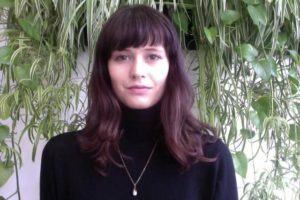 Rachelle Bourget is an independent contemporary dance artist based in Winnipeg, Manitoba, with an affinity for vinyl and the common houseplant. A 2012 graduate of The School of Contemporary Dancers, she has performed and collaborated with a variety of art makers, including Frances Koncan, Zorya Arrow, Riley Sims (Toronto), Treasure Waddell, and Christina Medina (Vienna). She has choreographed and performed in music videos for Winnipeg based bands Joanne Pollock (Carnival), The Treble (10,000 Floors), Viva Non (Tonally Outside) and collaborated with Vancouver based film-maker Sarah Blondin for short film Wise.Wild.Wonderous. Rachelle is a founding member of Nova Dance Collective, which presented Not Potatoes and Judy and the Reckless for two seasons in 2015/2016. 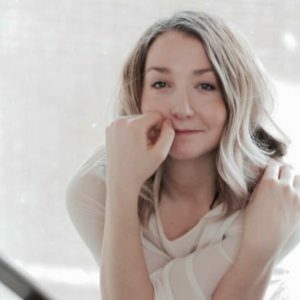 In July 2017, she premiered her first full-length solo production AFTER THE CAUSE at the Winnipeg Fringe Theatre Festival, which received **** from CBC Manitoba and the Winnipeg Free Press. In addition to her dance education, she holds a 200 hr YTT in Transformational Hatha Yoga, and is an active DJ under the moniker VULGAR PROPHET. Born and raised in the Yukon, Charles Cardin-Bourbeau began gymnastics at a young age and later trained in contemporary dance at The School of Dance in Ottawa. During his studies, he worked, to name a few, with Sylvie Desrosiers, Louise Bédard, Heidi Strauss and Peggy Baker. He has also participated in the Dances by Youth for Youth project. After graduation, Charles joined Ottawa Dance Directive (ODD), where he worked with choreographers Yvonne Coutts, Tedd Robinson, Noam Gagnon, and Andrew Turner. He has collaborated with Toronto-based choreographers, Darryl Tracy and Riley Sims. In 2014, Charles joined O Vertigo and began performing the company’s repertoire internationally and in 2015, became a freelance dancer with Compagnie Marie Chouinard. During the 2016 Canada Dance Festival, Charles danced in two new creations with ODD by Yvonne Coutts and Marilou Lépine. A few months later, he became a full-time company member with Compagnie Marie Chouinard and once again performed the company’s repertoire in Montreal and internationally. Now, as an independent artist, Charles has collaborated with Castel Blast collective for their latest creation Carcasse presented in Montreal in March 2018 and has recently joined the cast of the BEYOND project under the supervision of Jason Martin. 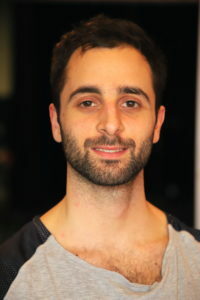 Born in the mountains of Lebanon in 1991, Charlie Prince is a dance artist currently based between Europe and Canada. As a performer, Charlie has worked with Ballet BC in Vancouver and Compagnie Alias in Geneva. 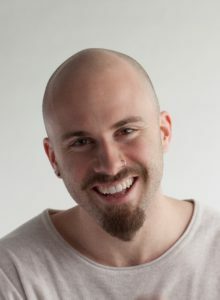 Since 2015, Charlie has been an associate artist with Maqamat Dance Theatre in Beirut. In 2017, Charlie was invited by Marie Chouinard, artistic director of the Venice Dance Biennale to perform in 3 new creations that premiered at the festival. Charlie was also invited to join the APAP Project and is supported by the “Creative Programme of the EU” until 2020. Charlie also holds a Bachelor of Music from McGill University in Montreal. Brianna Ray Ferguson is a graduate of The School of Contemporary Dancers senior professional program’s class of 2014. She has been performing with Winnipeg’s contemporary dancers since 2014. She has also worked professionally with Constance Cooke of Company Constance Cooke (Victoria, BC), Christina Medina of @tendance (Vienna, Austria), Odette Heyn of Odette Heyn projects in collaboration with the Winnipeg Symphony Orchestra (Winnipeg, Manitoba) and Outside Joke improv comedy group (Winnipeg, Manitoba). She also has taught Company class with WCD, for the new teachers act with The Dance Post and community class for Rainbow stage and she also has taught and currently teaches the Modern program at Masterworks Dance Studio. 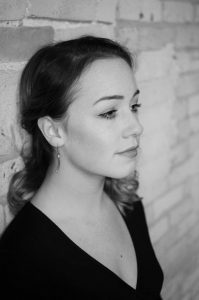 Born and raised in Winnipeg, Alexandra Winters has worked with Stephanie Ballard and Dancers, Company Constance Cooke, Gearshifting Performance Works, Janelle Hacault and Kayla Jeanson through the Young Lungs Dance Exchange Research Series, and Winnipeg’s Contemporary Dancers. She was a guest artist with GPS Dance Collective on their tour to Leon, Mexico and participated as a dancer at Banff Centre for the Arts and Creativity in the Creative Gesture – Collective Composition Lab for Music and Dance. She looks forward to working with choreographer Jason Martin in WCD’s spring show and has an upcoming project with @tendance/C.Medina in Austria. She is a 2015 graduate of the School of Contemporary Dancers Professional Program.